This way, DG DayInfo helps you to see day's maximum and minimum, check day's percentual variation and time left to close candle. Note: *Of course, daily information only works in time frames lesser than D1. 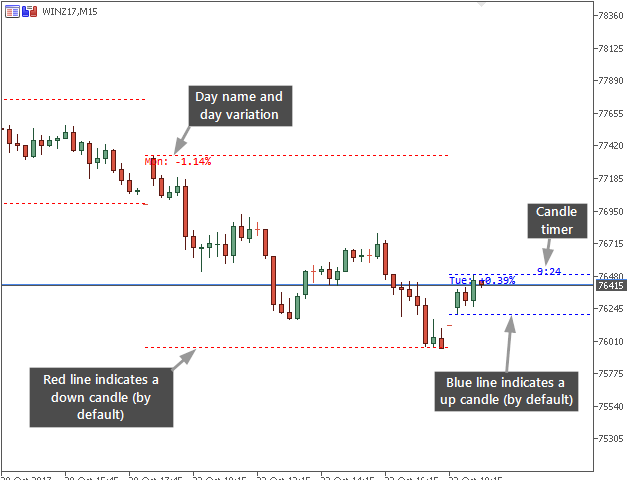 Fantastic, works great, absolutely essential with all the time frames offered on MT5, thanks for sharing.